At a TiVo Community meet-up in Vegas recently, a series of TiVo beta products were demo’d. One of them, seen here in this presentation pic, appears to be a movie-on-demand type downloading service. Something was also shown called the TiVo Personal Entertainment Network, which appears to allow users to upload home videos to their TiVos. How freakin’ cool is this? A European LEGO hacker, Claude Rieth, has created an electronics experimentation lab out of LEGO bricks with discrete electronics components (resistors, LEDS, transistors, diodes, IC sockets) built into the blocks. To build a circuit, you just press down the blocks you need, wire ’em n’ fire ’em. Cool. In LEGO hobby parlance, someone who hacks the blocks to add unofficial functionality is called a Grinder. This guy’s the king of grinders. I knew it was only a matter of time before somebody did a full-blown personal planner designed around Getting Things Done and the HipsterPDA concept. Douglas Johnston, who’s designed a series of downloadable D*I*Y Planner kits, has just released the “hipsterPDA” edition with dozens of templates for planning pages (Calendar, Action Lists, Contacts, Someday_Maybe, etc) in a 3″ x 5″ format that can be printed onto card stock for use in your Hipster. 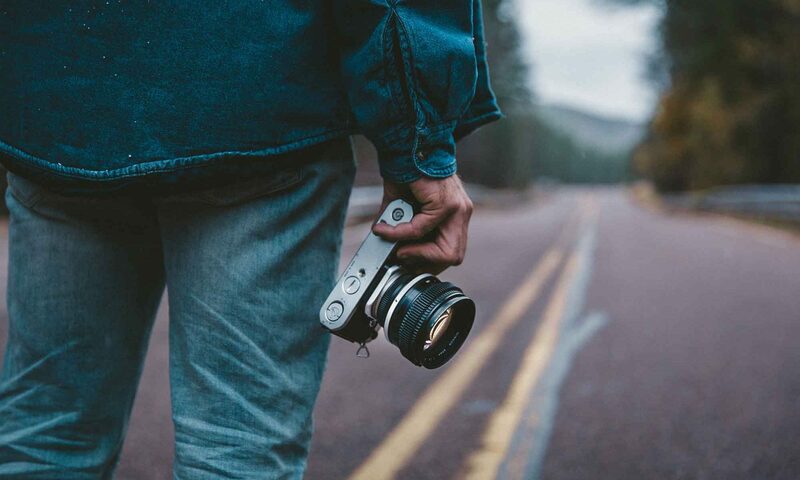 Okay, you don’t actually throw it away, you take it back to the pharmacy, but CVS’s new single-use digital video camera follows in the footsteps of single-use digital still cams. And, like those “disposable” gadgets, geeks are excited by the hacking potential of the vidcam. Currently, the camera costs US$30 ($20 w/coupon) and after you’ve shot the max 20 minutes of footage, you return it to CVS andf they burn the contents onto a DVD (for an additional $12). Hackers have already gotten to work taking this thing apart and figuring out how to interface it with a PC for downloading content (giving you a decent digital camcorder for as little as $20). If the French post-modernist Baudrillard was right, and we live inside of television (or was it inside of Disneyland, I can’t remember), we’re probably living inside of computer/video games at this point as well. 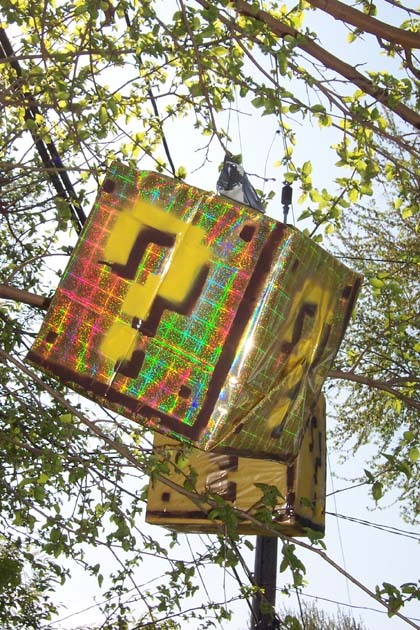 As if to drive home the point, a couple of pranksters in Windsor, Ontrario have been building lifesize Question Mark Boxes from Super Mario Brothers and suspending them from trees, powerlines, etc. “A friend” of the creator offers a how-to here. One of the questions we’ve been asked a lot recently is: How can I add an audio in jack to my existing car stereo? Some car stereos just don’t allow this capability, others have AUX IN pins in the back of the unit that can be used to solder on a jack, and some — where the CD players are separate from the receiver/radio (a.k.a. the “head unit”) — can be spliced into. This hack involves the latter set up. This guy has a 2001 Toyota Corolla where the CD player is in a separate unit. All he basically did was split the wires going from CD to the head and route them to a toggle switch and AUX IN jack (so he can switch between CD and auxiliary input). Presumably, this could be done with any stereo that has separate components like this wired to the head. Tip: If you’re interested in knowing if your car stereo has AUX IN hackability, do a search on the car or stereo/head unit model and “aux in,” and with some pokin’ around, you’ll likely find what you’re looking for. Here’s a cool and inexpensive solution for getting MP3s in your car without the use of a dedicated MP3 player or one of those car cassette deck adapters. The VR3 is an inexpensive (US$30) FM modulator that plugs into your cigarette lighter. It has a USB port on it that allows you to plug in any USB Flash drive. To play MP3s, all you have to do is load the drive with the tracks you want in the order you want to hear ’em. Plug in the drive and tune your stereo to one of the seven frequencies used by the VR3. You have controls to play, stop, skip tracks, and adjust volume. The unit also has a stereo audio in jack, allowing you to plug in other MP3 devices, CD players, and other digital devices with audio out. Looks like a decent low-cost solution, especially if you already have a keychain Flash drive (and at this point, who doesn’t). Some goofball dressed hisass up as one of the black silhouette dancers from the ubiquitous iPod ads and flailed around in a Michigan Apple store to the Beatles…er…I mean…The Kinks… I mean Jet. Everybody acted like they didn’t noticed. More cyberpunky keyboard action, this one, just stupid IMHO; a stealth-black keyboard with no key markings whatsoever. Apparently for “l33t” programmers only. Now, c’mon, how many deep geeks do you know who are brilliant touch typists and know every key on the board? I do get a kick out of the idea of Haxxor wannabes buying this thing and then spending inordinate amounts of time randomly pressing keys trying to find the ones they want. Just what we need, even worse spelling from geeks. So, All of a Sudden, Pentium is Innovation? Watching the vid last night of Steve Jobs’ keynote at Apple’s World Wide Developers Conference (WWDC) and his rumored, but still shocking to hear, announcement that Apple was switching from IBM’s PowerPC technology to Intel processors, I immediately thought: “Wait a minute. Hasn’t Apple spent a bunch of time arguing that PowerPC-based chips provide the fastest desktop architecture on the planet? So, how is all this so earth-shattering? Isn’t Apple moving backwards?” TUAW asks the same question this morning. The comments to the blog item respond in the same way that I did to myself (hey, when it’s 3:30am and I’m up watching a devconf keynote, I’m allowed to talk to myself): Jobs was talking about future Intel-based processors, not the current product line. Allegedly, Apple and Intel engineers will work (I’m sure already are working) together to build new chips that Apple will hype to death like they did the existing PowerPC processors. On a related note, our favorite(?) cyber-curmudgeon John C. Dvorak has an interesting piece in his Second Opinion column today about how, strangely enough, Linux might be the big loser in this bargain.